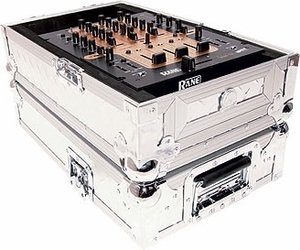 Transport your 10" mixer in style with this fully foam-lined silver diamond plate mixer case. Convenient lift-out door provide entry to the mixer controls and provides full protection while in transit. Removable lid serves as elevated base. Dimensions (exterior): Width Height Depth 12" 9" 22"